Russia selling the commodity at $244/tonne, India may price it at $300. Indian Agriculture Minister Sharad Pawar told reporters that the Centre has finally decided to lift the four-year ban on wheat exports with grain stocks reaching record levels, Business Standart reports. The move comes at a time when black sea wheat from Russia has already reached global markets. Wheat produced in India and Russian are of the same quality and taste, and both cater to West Asian markets. Traders say while Russia is selling its wheat for $244 per tonne, Indian wheat will be priced around $300 per tonne in the international market. Industry insiders say there is very little possibility of finding takers as global wheat prices have fallen by around 14 per cent since June, with Russian wheat flooding the markets, Business Standart reports. 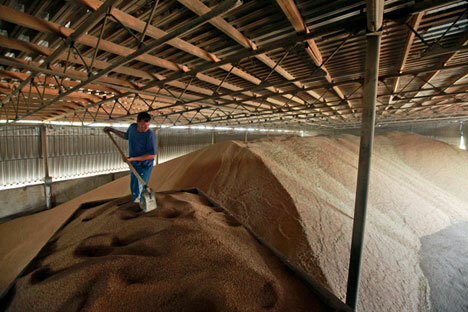 Russia, which is entering the global market after almost one year, is expected to harvest almost 90 million tonnes of the commodity this year — up 48 per cent from its 2010 output due to severe drought crippling farm production. “The best time for India to export wheat would have been March-April, when there was a real shortage of wheat in the global markets, but now that opportunity has passed,” an official from a leading global trading firm told Business Standard. In early July, the government had foodgrain stocks of around 64 million tonnes, while storage capacity available with Food Corporation of India (FCI) and state agencies was around 63 million tonnes. According to Business Standard, wheat production is expected at a record 84.27 million tonnes in 2011, after an all-time high output of 80.80 million tonnes last year. Pakistan tapped the international grain market more efficiently than India. It has sold more than 1.8 million tonnes of wheat since January. However, India, one of the world’s largest grain producers, kept its doors closed on exports, allowing inventories to soar to record high as it needed to judge its wheat availability in the light of the proposed Food Security Bill.